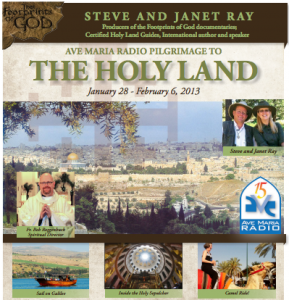 Six Seats Left for Christmas Holy Land Pilgrimage! Two wonderful young priests will be the spiritual directors for our Christmas Holy Land Pilgrimage. We leave December 27 and return January 7. Be in Bethlehem during the Octave of Christmas. For more information, click on the brochure HERE or call Suzanne at 800-727-1999, ext. 121 or write her at sparran@ctscentral.net. 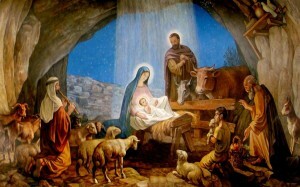 Hope you can join this intimate and special trip to celebrate the birth of our Savior. To see all our upcoming pilgrimages to Israel, Italy and Rome, St. Paul Cruise, Poland, Ireland, Lourdes & Fatima and more, visit www.FootprintsOfGod.com.